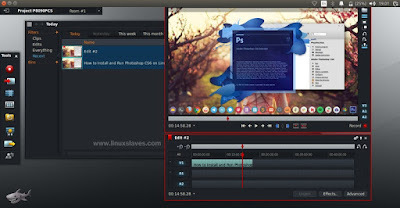 How to install Lightworks video editing software on Linux - There are a number of video editors for Ubuntu that works quite well such as Kdenlive, Openshot, Flowblade Movie Editor and Lightworks. We are already pooled the 3 of great application to help you making home videos in Video Editor Software Alternative Adobe Premier for Linux. 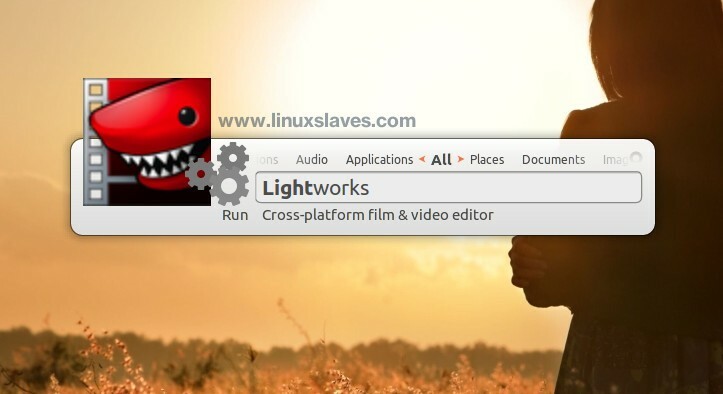 But, we have not explained step-by-step how to install Lightworks on your Ubuntu desktop computer. So we write this post to complement our previous post. Lightworks is a professional and popular video editing software, used in the movie industry, as an alternative to Apple Final cut, Pinnacle Studio or Adobe Premier. This programs is multi-platform. It's available for major operating systems such as Linux, Mac OS X, and Windows computer. On February 4, 2016, Lightworks version 12.6 was released. All versions are designed to run on Intel and AMD chipsets and motherboards. Step 1 - Get the installer package. Download Lightworks .deb for Ubuntu. Step 2 - You can install it from the terminal, or Gdebi package installer for GUI based approach. If you prefer to Gdebi, it will install all dependencies automatically. Step 3 - Once installed, now you can open the app from Ubuntu dash, or for a quick operation, you can use Synapse Launcher. Read Install Synapse Launcher 0.2.10 on Ubuntu, Elementary OS, Linux Mint. Step 4 - The Lightworks will ask you for username and password. You can sign up for a new account from Lightworks Register Page. Next? Sign in and viola! The Lightworks has been installed on your Linux. That's all I can write about installing Lightworks Professional Video Editor Ubuntu ( tested on 16.04 LTS Xenial Xerus ). Hope you've enjoyed reading this tutorial as much I’ve enjoyed writing it. Thanks for visiting us!